Want to give 1st Phorm protein a try but not ready to commit to an entire tub of one flavor? 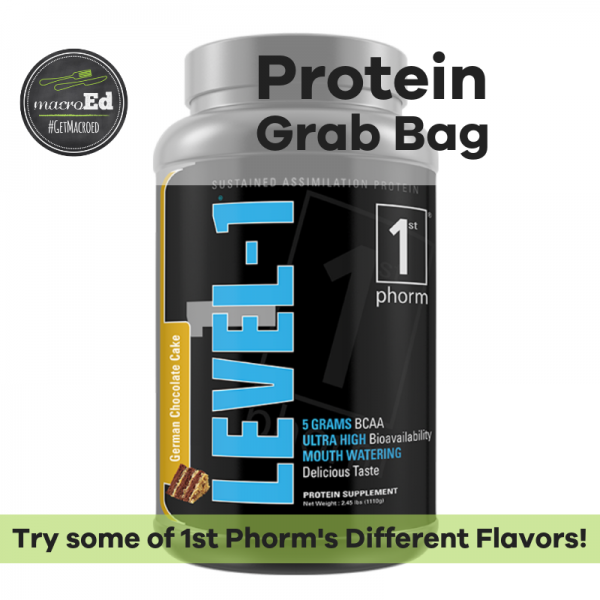 With our Grab Bag you’ll get to try 20 servings of 1st Phorm protein from the Level 1, Phormula 1, and the new Naturals line. You won’t get every flavor but we’ll provide as much variety as you can.